About the book: Perfect for fans of Jenny Han’s The Summer I Turned Pretty and Huntley Fitzpatrick’s My Life Next Door, Juliana Romano's expressive debut is an absorbing and bittersweet story about first love, first loss, and the friends that carry us through it all. I recently read this debut novel and found myself unexpectedly connecting with the story. The writing pulled me in and had me reminiscing of past YA contemporary loves I'd read by Jenny Han and Huntley Fitzpatrick. If you're looking for a solid, well-rounded contemporary piece that focuses on the growing up and growing apart of friendships, then I highly encourage this novel to be added to your reading pile sooner rather than later. Ginger: I loved the friendship dynamic between Lima and Hailey. There was an authenticity to their relationship that felt very relateable. Did you write these characters from inspiration? Juliana: The inspiration for Lima and Hailey’s friendship came from a lot of the friendships I’ve had over the years, including the one I have with my big sister, Clarissa, who is my best friend. And once I started writing about Lima and Hailey, I found myself observing all the friendships around me, and I saw so many patterns. Lima and Hailey have a lot of ups and downs, and often Lima can’t predict when Hailey is going to be warm or cold to her. Hailey melts her heart at the most unexpected times, which is something that happens to me all the time with my close friends. Ginger: As someone who has visited and fell in love with So-Cal, what was your favorite locale to write about for the book? Juliana: The beach! I never realized how many ways there are to describe the beach until I started writing about it. Especially So-Cal beaches because they are kind of gritty, it’s not all white sand and turquoise water. Ginger: I'm a huge music junkie! Were there any tunes playing while writing certain scenes? If not, any music that comes to mind when you think of a particular character or scene in the book? Juliana: I love this question! Music was a huge part of the book. When I wanted to channel Lima, I would listen to Joni Mitchell and Simon and Garfunkel because those are her favorite artists. And when I needed to get into an LA frame of mind, I’d put on contemporary California bands like Lavender Diamond, The Like and The Chapin Sisters. And when I think of Hailey I think of pop music like Taylor Swift and Rihanna. I always imagine Hailey does a lot of dancing alone in her bedroom. Ginger: If you could sum up this book in one sentence, what would it be? 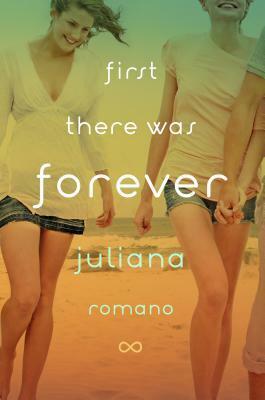 Juliana: “First There Was Forever” is partly a romance, and partly an ode to growing up in Los Angeles, but mainly it’s a book about the love between two friends, and the heartbreak that comes as they change. Ginger: Very impressed with your debut work and looking forward to what's to come. Any news on what you're currently working on that you can share? Juliana: I’m writing a few things, but the next up is a story of a girl growing up in New York City and it takes place between her junior and senior year of high school. Not LA! Fantastic interview, Ginger! 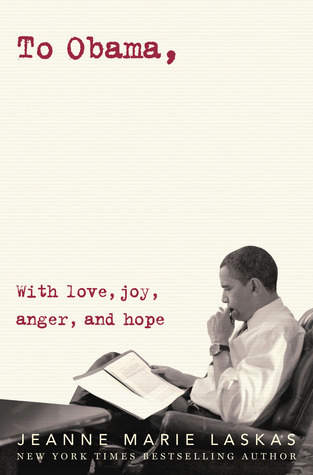 I am excited to get my hands on a copy of this book. It sounds right up my alley. Oh, I loved reading your interview with Juliana, Ginger! It's always interesting to get a little idea of the person behind the novel. I'd already been curious about First There Was Forever, but now I'm looking forward to reading it even more.